Baby Debut was established in November of 2005 in response to repeated patient requests for additional ultrasound images of their baby initiated by Dr. Michael Judd. Traditional clinical fetal imaging is performed for prenatal diagnosis. Although surface characteristics are often noted the clinical scans are generally intended to survey organ systems as well as fetal and placental growth and development. By adjusting ultrasound settings incredibly precise surface contour images can be acquired. Baby Debut uses this technology to produce non-clinical images of your baby for you to enjoy for years to come. Cindy Koch, RT, RDS has over 20 years of experience as an Ultrasonographer specializing in womens healthcare. She is registered in OB/Gyn as well as Abdominal Ultrasound with experience in Vascular imaging and Doppler flow studies. Cindy is both RT and Ultrasound certified and is registered with both the American Registry of Radiologic Technologists (ARRT) and the American Registry of Diagnostic Medical Sonographers (ARDMS). Denise graduated from the University of Maryland School of Ultrasound in 1996. She is licensed by the American Registry for Diagnostic Medical Sonographers in both Abdominal and Ob/Gyn Ultrasound. She is also a certified Radiologic Technologist. Denise worked as a staff sonographer for several regional Health Care Systems where she gained extensive experience in Breast, Vascular, and Neonatal imaging as well as Echocardiography. 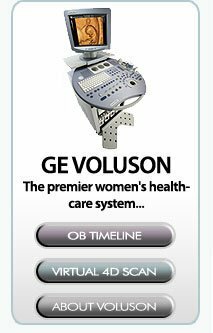 Chesapeake Women's Health is pleased to promote her special interest in Women's imaging and Obstetrical Ultrasound. Tracy studied at the University of Maryland Baltimore County where she earned a certificate in Diagnostic Medical Sonography. Other achievements include an Associate of Arts degree in Mathematics and Biology from Towson University. Tracy is registered in Ultrasound Physics and Instrumentation as well as Obstetrics and Gynecology. Her past professional history includes diagnostic imaging at Anne Arundel Medical Center as well as Health South Radiology. Baby Debut 4-D Ultrasound | Cindy Koch RT, RDMS | Denise A. Richardson, R.D.M.S. | Tracy L. Campbell, R.D.M.S. Copyright © 2019 Baby Debut 4-D Ultrasound. All Rights Reserverd.